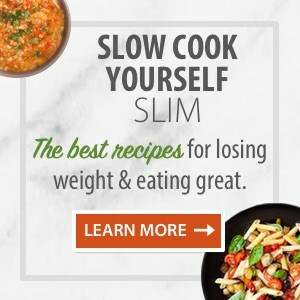 This slow cooker cabbage soup with chicken apple sausage is adapted from a recipe for cabbage soup with kielbasa that caught my eye in the Weight Watchers cookbook, Simply Delicious: 245 No-Fuss Recipes All 8 Points or Less (affiliate link). At this time of year soups, like this slow cooker cabbage soup, make regular appearances on our dinner menu. 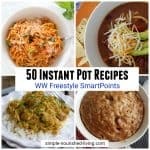 Using the slow cooker makes it so easy. 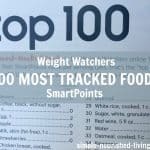 As I’ve mentioned before, including more soups in our diet has been one of my tricks for easy healthy weight loss/maintenance. 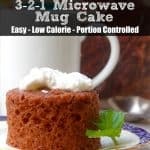 They’re such an easy delicious way to increase your intake of vegetables, filling you up with fewer calories. I substituted chicken apple sausage for the kielbasa and tossed everything into the slow cooker, instead of making it on the stovetop. And let me tell you, this makes one incredibly satisfying main-dish soup. I still can’t get over how tasty it turned out and have been enjoying the leftovers for lunch. Rod really liked it too and commented on how filling it was. 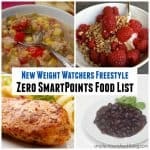 According to my calculations, each generous 1-cup serving has about 145 calories, *4 Weight Watchers PointsPlus, *4 SmartPoints and *4 WW Freestyle SmartPoints. Enjoy! 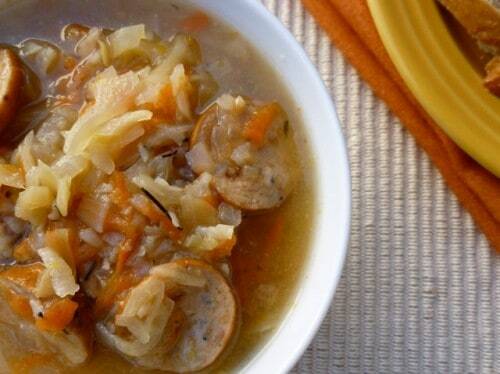 If you’ve made this Crock Pot Sausage &Cabbage Soup, please give the recipe a star rating below and leave a comment letting me know how you liked it. A warm and satisfying main-dish soup. 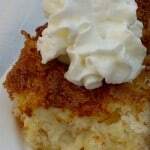 Serve with slices of crusty sourdoug or rye bread. Ideal slow cooker size: 4- to 6-quart. In your slow cooker, combine the sausage, onion, cabbage, potato, carrot, garlic, broth, thyme, bay leaf, vinegar and salt and pepper. Cover and cook on HIGH for 4 to 6 hours, or on LOW for 5 to 7 hours, until vegetables are tender. Discard the bay leave. Taste and adjust seasoniongs, adding more salt, pepper and/or vinegar as necessary. On my list to make this week! Nothing like slow cooker soups this time of year to scream comfort! I just found your blog through Danica’s Daily. I’m a WW, and I’m coming up on 2 yrs of Lifetime. 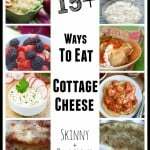 I’m always on the lookout for WW friendly cooking blogs, so I clicked right over after reading your post. 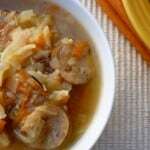 I got to this recipe for cabbage soup with apple sausage and had to stop reading so I could go make it immediately! It’s in the slow cooker now and I’m really looking forward to trying it tonight. Thanks, Carol. Hope you like the soup as much as we did. Am I starting with pre-cooked chicken sausage ? Hi Liza, Yes I used the pre-cooked chicken sausage in this recipe. I have made a similar recipe with regular sausage. Definitely going to try this one with the chicken sausage. My recipe calls for beans, which is 0 freestyle points on WW. Thanks for recipe.